The weather has been quite glorious this past week (sorry, east coast!) so we went hiking along the coast at Wilder Ranch. I did indeed hiked in this outfit, no joke. Sometimes I think about how I really need to get some exercise/outdoor gear but then I rather buy a cute pair of leather booties than running shoes. Maybe someday. I didn't plan on taking photos since I knew it would be windy along the coast. However, we stumbled upon a railroad track on the way back, the sun was setting and I couldn't pass up on the beautiful lighting. 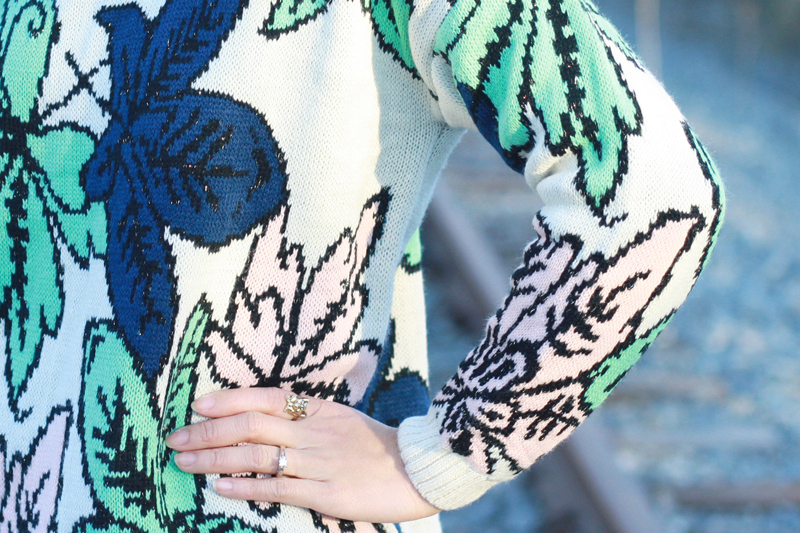 I love this sweater by the way, I love how bold the print is and that they are actually leaves and not flowers! 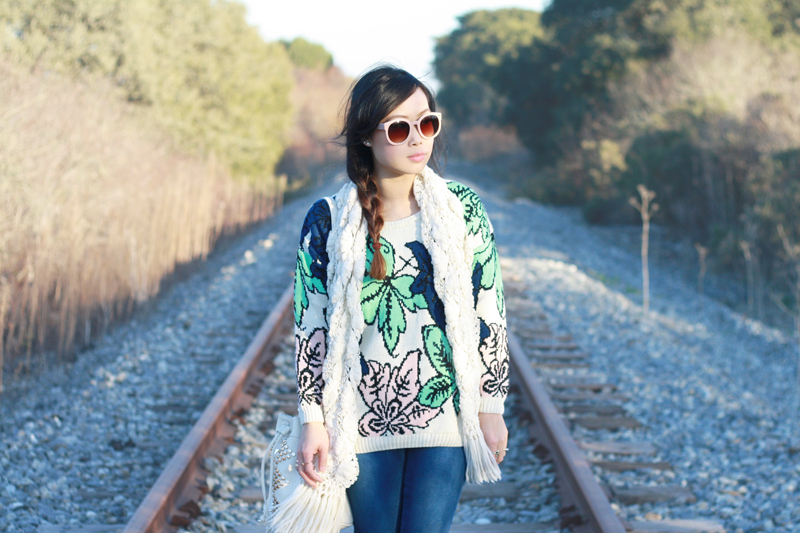 Bold Leaves Pattern Sweater c/o Sheinside. 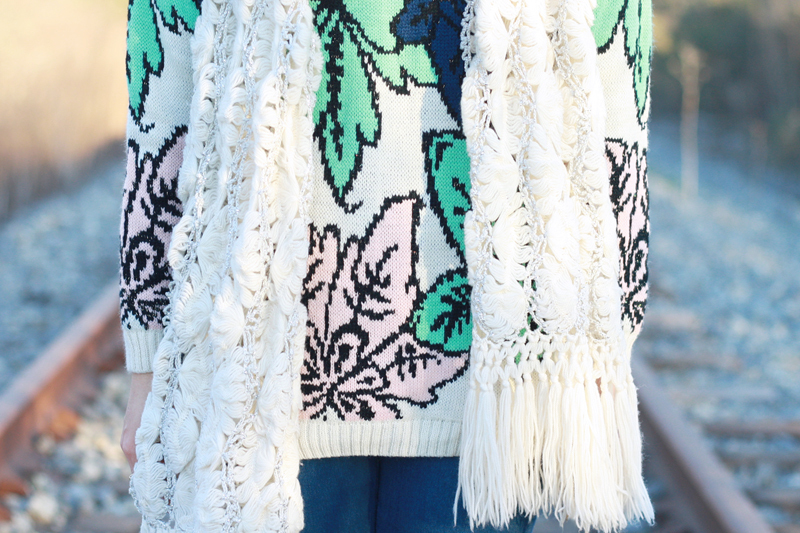 Thrifted vintage crochet knit scarf. I'm jealous of the weather where you are! We've been freezing. I adore those t-straps & your sweater is beautiful! Same thing happens to me too. Although I've planned to spend my money on running shoes one day but it seems like it'll ever happen anyway, haha. Still, you're looking so fab in that hiking outfit!! That sweater sure is lovely!